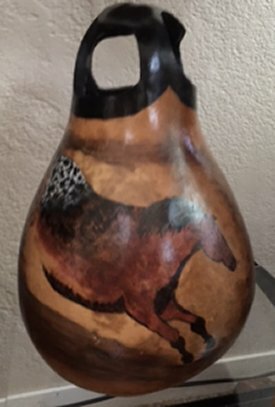 Born in Hawaii in 1944, Diana Peugh currently resides near the Sacramento Delta with her Airedale Terrier and four cats. 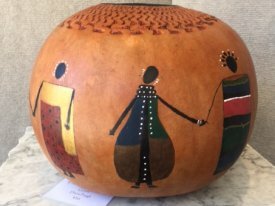 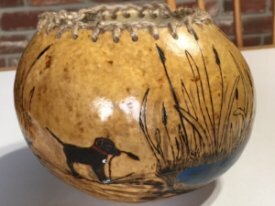 Her interest in gourds started in 2002 when she and a couple of her friends created gourds as a fund raiser to help restore a local non-denominational church building. 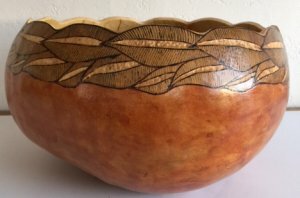 Her interest hasn’t stopped since. 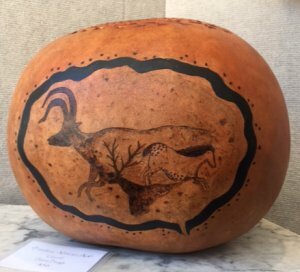 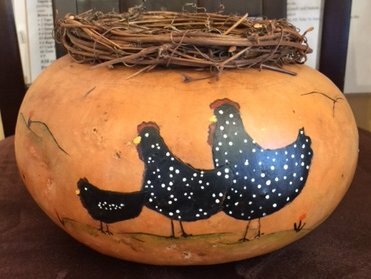 Her gourds are wood burned, ink dyed, painted with acrylics and finished with gourd wax and an acrylic spray. 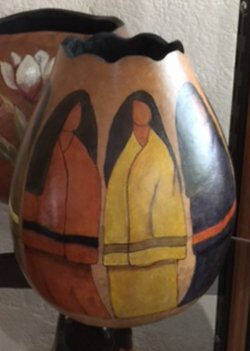 She has sold her gourds at craft and Christmas fairs and to private parties. 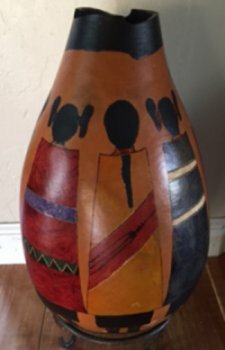 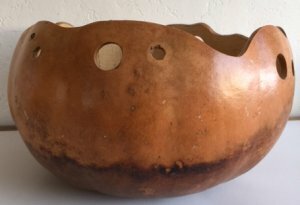 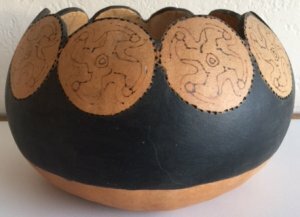 She currently has her gourds displayed at Rio Vision Art Center in Rio Vista. 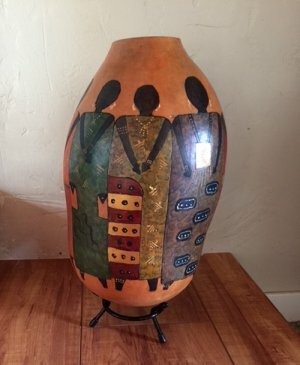 Diana can be contacted at hmprio@citilink.net.